Keeping up with the news used to be pretty simple. You picked up your preferred tabloid or broadsheet newspaper on the way to work, or tuned into a scheduled news bulletin on the radio or your TV. The internet has transformed the way in which news is created and distributed though. Keeping up with the colossal melting pot of professional news outlets, blogs and citizen journalists can be a huge headache. Where do you check first? How do you keep up when you only have a smartphone to hand? A swathe of newsreader apps is available on the App Store, but only a small selection is worth your time and attention. Here, we present to you of the best news apps for Android and iOS – nwsty! 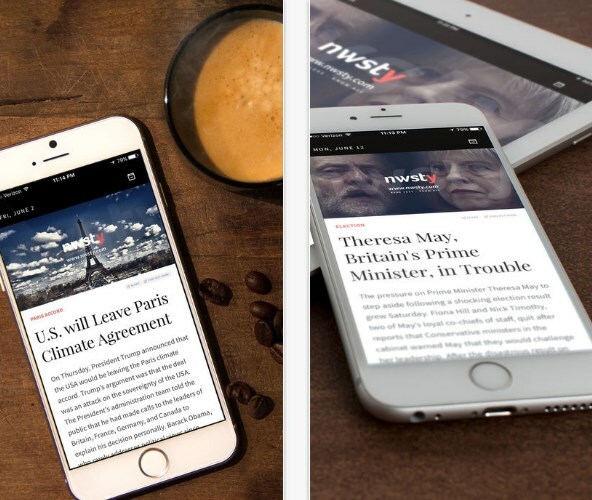 We chose nwsty to share with you today because it is one of the best news apps currently on the market. Why? Because it provides with unbiased news, summaries and headlines from all around the world in the palm of your hands! The app is available for both Android and iOS users that want to keep themselves informed daily, for all of those that want to become smarter and know everything that’s going on in the world. 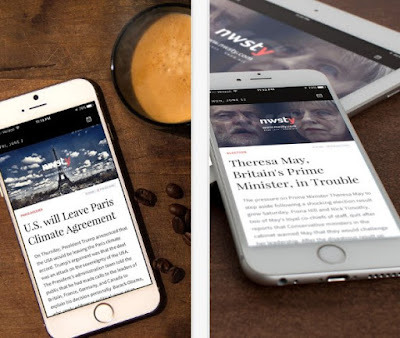 nwsty offers tons of great features, but most importantly it combines amazing journalism and cutting-edge artificial intelligence techniques to bring you headlines and news summaries of 5-10 most important current news that you should know on a daily basis. This daily news digest will deliver concise news summaries every morning from Monday to Friday. You will be able to read tons of new information and news articles about current news events, international news, politics, world news, entertainment, sports, science, etc. Covering the US and the whole globe, nwsty will keep you updated with the most important daily news stories. Read what you like and share anything with friends and family with an ease. nwsty can be downloaded for free from the App Store and from Google Play. It also offers a monthly subscription with more cool features. Check it out by clicking one of the links below.